Thanks to everyone that mentioned Passive Income Pursuit this past week. I truly appreciate it and couldn't get the word out about DIY dividend growth investing or grow the blog without you. I didn't get a chance to compile some links for this weeks installment but next week they will be back in full force. Work was crazy to end the week and as we were starting to rig down our unit and tool, of course here comes the rain. I can't really complain about it though because in almost 3 years, this was the first time I had to really be out in the rain. Although I also got the joy of having it hail on me as well. So with that big mess what usually takes us about 2 hours to do took about 3.5. 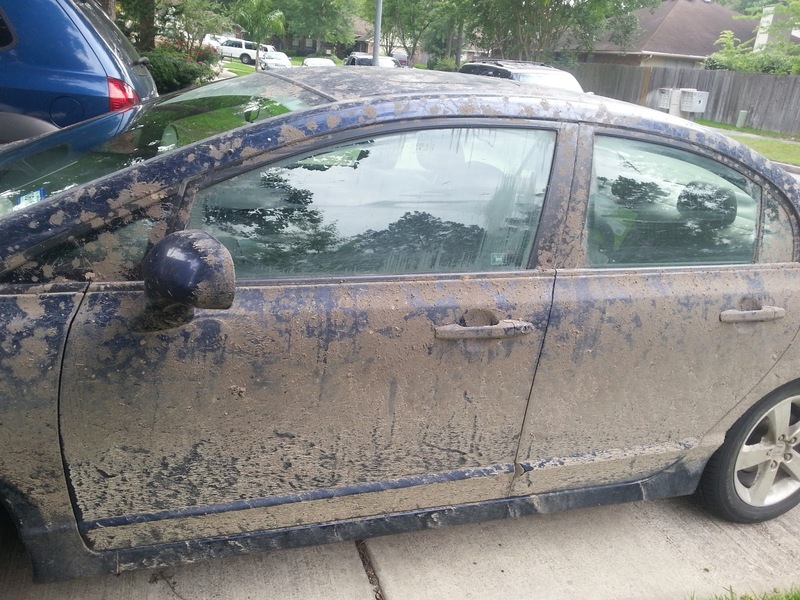 I could deal with that but then the road to get back to the highway was absolutely horrible and I had to have someone pull my little Civic through several spots. After that the drive was easy but it took an hour for the first 10 miles. 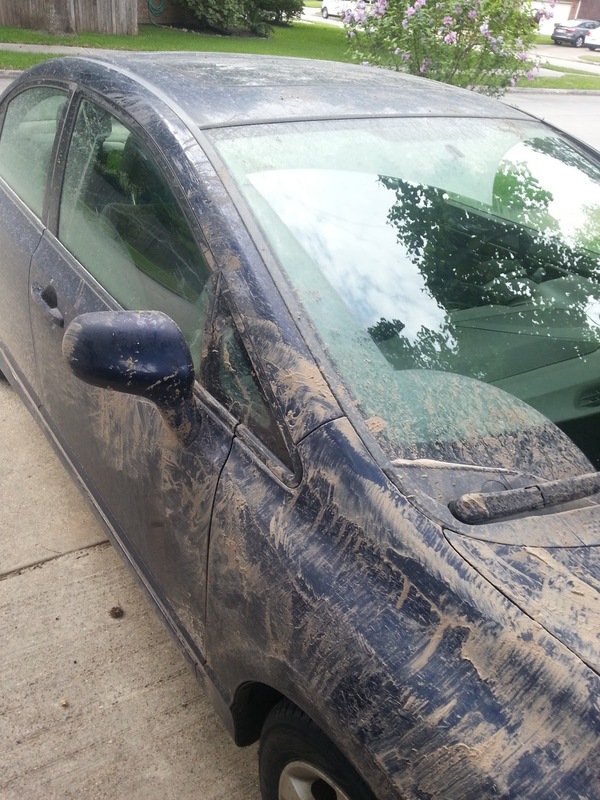 In case you're wondering, yes this is after the cleaning a bit and no a Civic shouldn't have that much mud on it. I'm home now for a bit. We're getting up early today and will be heading up to a friends' lake house for some great times this weekend. No worries PIP. It is a pleasure having you in my niche and reading your blog. I learn a lot. So have a great Memorial Day too! I think I would have slept in the back of the car rather than try to pull it through 10 miles of mud. To put it another way, I wouldn't have had another choice, given that I'm not strong enough to pull a car. Well I had him pull it with his 4wd truck. I could have pulled it by hand on pavement, although 10 miles would have taken forever, but I wouldn't have even moved it in that mud. I was very close to just turning around and heading back to the rig but I really wanted to be home in time to go to the lake house with my wife and friends.